This magnificent home is the epitome of design and reflects the personality and taste of those accustomed to the best quality finishes. As you enter through the double doors you are greeted by a great room with a coffer ceiling and an abundance of natural light. 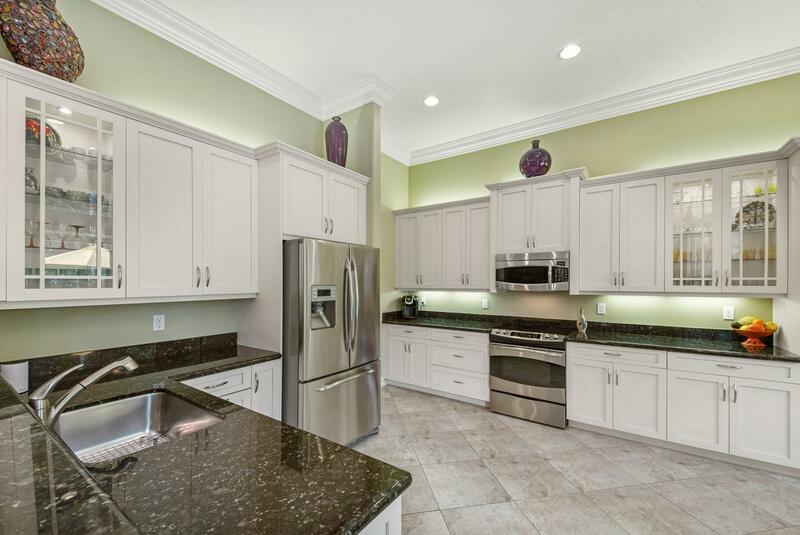 Gorgeous chefs kitchen provides granite countertops, above and below cabinet lighting, 42 soft close cabinets with pull outs, stainless steel appliances, an extended pantry, snack bar and a sun filled breakfast nook. Spacious master bedroom with a coffer ceiling, French doors to patio and his and hers custom walk-in closets. Luxurious master bath with custom decorative cabinets, dual sinks, a framed mirror and a walk-in shower.